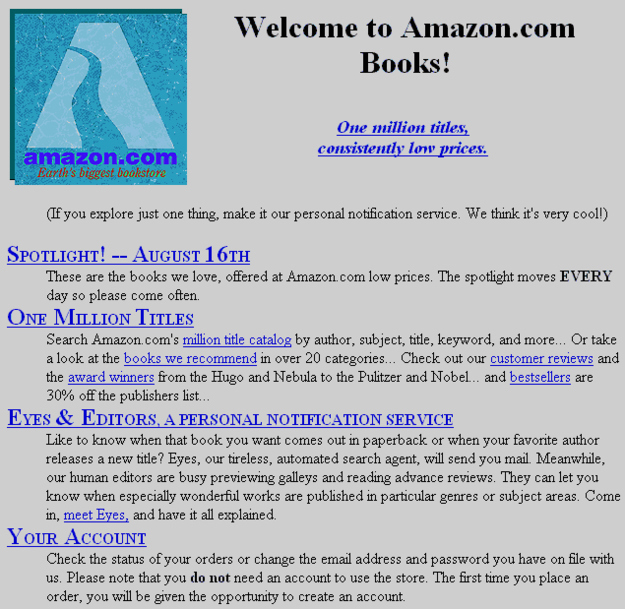 You’ve probably seen that viral photo of Jeff Bezos working at his now famous wooden door desk, and you’ve probably seen the way Amazon’s website looked like when it first launched. They’re eCommerce history, but the most exciting thing is that online shopping is still in its infancy, there’s still so much growth to happen, and so much money to be made. 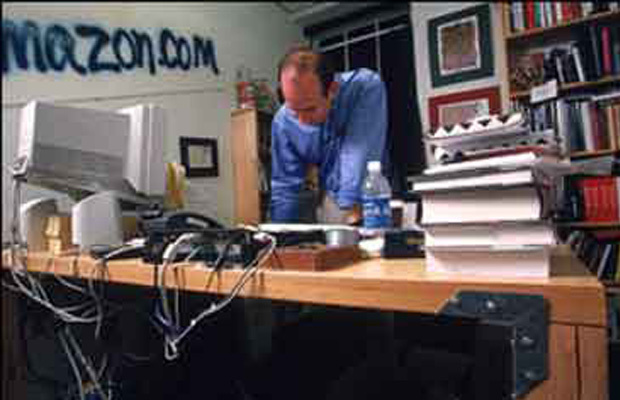 A huge advantage you have that Amazon’s founder could have only dreamt about is access to free social media platforms. So, not only that you get to use all sorts of amazing software solutions to build and manage your store, you also have free access to communication channels capable of reaching hundreds, thousands, millions of people, even for free. So, what’s the best strategy for promoting your products on the top social media platforms of the moment? These platforms are important tools in your money-making arsenal, and you should know what’s the most efficient way to use them this year, especially now that each of them went through serious changes. Let’s start with the one that got marketers excited this past year – Instagram, then take a look at LinkedIn, Twitter, Pinterest, YouTube and everybody’s darling – Facebook. ‘What about Snapchat?’, you ask. Well, mate, Snapchat isn’t feeling too great lately. A tweet posted by global influencer and famous-for-being-famous celebrity Kylie Jenner wiped out $1.3 billion in Snapchat’s market value, while Rihanna also wiped out $1 billion by criticising one of the ads they approved to run on the platform. That was in less than a month. And before these ‘incidents’ users were upset by a recent redesign. Facebook and Instagram took what was great about Snapchat – the ‘stories’ and shamelessly integrated them into their platforms, and many people just started to spend more time on Instagram to let strangers take a peek into their lives through the disappearing photos and videos. These are all things to you need to consider before deciding to invest time in building a following on Snapchat if you don’t already have one. Nevertheless, I’ll include a strategy tip for Snapchat, too, just keep in mind that it’s just too difficult to get a good read on what Snapchat will look like in the next 6 months to a year. We could call this strategy “link, connect, tag”. The thing is that you don’t get too many spaces on Instagram where you can add active links to your products, but at the same time Instagram offers great engagement rates. So, you want to be part of what is going on there. They also take advantage of Instagram’s newest change allowing them to create active links to other IG accounts in their bio. This means that they can ask their ambassadors and the influencers they work with to add the username of their shop’s IG account in their bio, and people will be able to visit it by simply tapping on it. You can also tag other accounts you’re connected to, especially if they’re relevant for the people who are interested in your shop and the products you’re selling. Another new addition to the new Instagram account bio is the active link hashtag. You can now add active hashtags to your account to help people find it easier and also to send them to specific streams of content that could help you convert them. Successful stores are already using them in their bio, and you should too. For example, cantiqLA – a lingerie brand made in California, uses the new IG features to link to other accounts related to their business and also to a hashtag that their customers can use to show off their purchases. The biggest mistake you can make on Instagram is to add links to your website or individual product pages in the captions of your posts. Those aren’t active links and they’re impossible to access on a mobile device. LinkedIn executives really made a good decision when agreed to allow users to create articles directly onto the platform to be promoted through the LinkedIn Pulse network. LinkedIn articles really do have the potential to drive massive amounts of traffic to your store. The most effective strategy for LinkedIn could be called “networking your way into traffic”. Or maybe you can find a better name for it. The idea is simple, you decide who your ideal customer is and you start looking for people who fit the profile on LinkedIn and you add them to your network. On a single account, you can have a maximum of 30,000 1st-degree connections. As you start building up your network you start posting articles that are specifically designed for their interests while also helping you sell your products. While people don’t like seeing products promoted through updated on one’s profile, they have nothing against the product recommendations included in longer articles. So, if your products could serve other companies and professionals, do check out LinkedIn and start publishing your articles there. The best Twitter strategy for promoting your products on Twitter is to make the tweets look good. You can do this in multiple ways. The most tech-savvy people amongst us will use Twitter Summary Cards. These cards represent previews for articles or product pages. They basically make the link look good, better than that of the poor marketer who doesn’t care about capturing people’s attention. Another way of capturing the attention of your followers and that of people stumbling upon your tweets is by using images or videos into your tweets. Use whatever you can to expand the space your tweet is taking in one’s Twitter feed, because if it’s a tiny line on one’s screen they might just miss it. The most effective strategy on Pinterest is ABP. What it stands for? Simple, Always Be Pinning. Always. Why? Well, here’s the biggest misconception people have about Pinterest – they think that once they add pins for the products in their stores their work is done. That couldn’t be further from the truth. Pins can be discovered in just a few way. The main two are: a. the ‘friends’ of your account get a notification that you pinned something new to your ‘My Amazing Store’ board or b. they see them as pins in the boards they follow. You can’t rely on the fact that someone might find your pin by searching for the keywords you use, because there are almost always going to be more popular pins displayed first. How are some stores driving traffic to their stores from Pinterest? I’ll let you in on a little secret, they join popular group boards that have many contributors (and thus thousands of followers) and they post pins for their products often, that’s how their products get seen by Pinterest users. So, if you want to use Pinterest as a top traffic source, you need to find the most relevant collaborative boards for your products and get a spot as a contributor. This one is made of two components. First, you need to create content for the same keywords you’re targeting on your website. Nothing too fancy, but enough to offer a little value to whoever clicks play. Also, you already know, people aren’t reading user manuals and instructions, they just go to YouTube to search for the product they bought to see how it works. They also look for reviews and demos on YouTube. Making sure you’re going to be found is going to help you sell more products. The second component is putting your products into the hands of vloggers your ideal customer is following, and keep in mind they don’t have to have millions of subscribers. You can send them the products to review them or you can offer them a discount for their subscribers they could include in the description of a video. The best way to promote your products on Facebook is through Facebook Ads, but let’s stay true to our sub-theme – promoting your products for free, and the good news is that you can still go viral on Facebook and reach millions of people with a single piece of content. Product demo videos, no matter if they were shot in an expensive studio or on an iPhone 5s can spread like wildfire, but you need to get a few things right – the tone of your copy, the price of your product, and the unique selling proposition. And even if your videos aren’t going viral, you can still promote your products effectively by creating video content and creating playlists. That way, you can get people to see more of your videos, and that will give you a better shot at converting them. Snapchat will always be about authenticity and what’s going on behind the curtains. Build a close relationship with the people who follow your stories and offer them exclusive insights, discounts and scoops to keep them engaged. If you’re hoping for repeated purchases and you’re targeting a young audience, it might pay off to include your Snapchat code (Snapcode) on your other social media profiles, your website, and even as stickers inside the delivery box. There you have it: effective strategies for promoting your products on the top 7 social media platforms. As usual, I’d love to read your comments on the subject. What was the most effective social media network for you? Share your thoughts with us down below, in the comments section.